One of our favorite meals year round is frittata. It makes perfect use of whatever vegetables are in season, is easily made with local ingredients, and can be served for breakfast, lunch, or dinner. 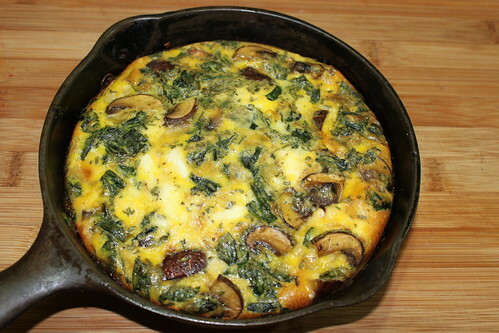 Essentially a crustless quiche, frittata is a classical dish that is dead simple to prepare. Here's a skeleton recipe that can be adapted for whatever ingredients you have on hand. The technique is always the same. First, chop and sweat one half of a large onion in a drizzle of olive oil in a cast iron skillet. Add two cloves of garlic (or more to your liking), and four cups of chopped vegetables. In winter, try mushrooms and kale, spinach and peas are nice in the spring, tomato and beans are tasty in summer, and the fall bears chard and peppers. Cook vegetables until slightly caramelized. Meanwhile, make the egg mixture. Whisk six eggs, local preferred, with one half cup milk, one teaspoon salt, and several twists of black pepper until foamy. 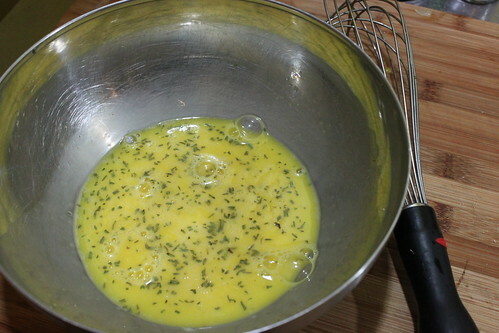 Add one tablespoon fresh herbs or one teaspoon dried to the egg mixture. 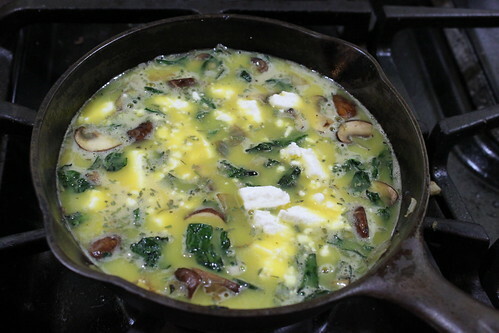 Assemble the frittata by pouring the egg mixture over the vegetables. Top with one half to one cup of cheese (shredded cheddar or swiss, feta, goat cheese, or your favorite). 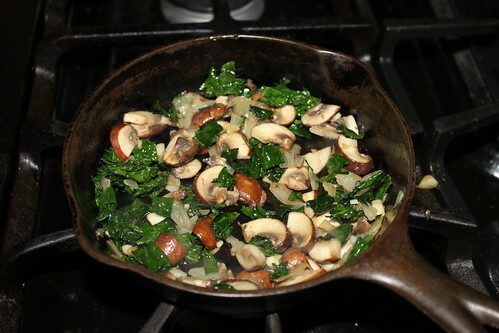 Cook vegetables over medium heat until wilted in a cast iron skillet. Add herbs. In a separate bowl, whisk together eggs, milk, salt, and pepper. Pour over vegetables and top with cheese. Bake in a 350 degree oven for 20 - 30 minutes or until cooked through and browned on top.